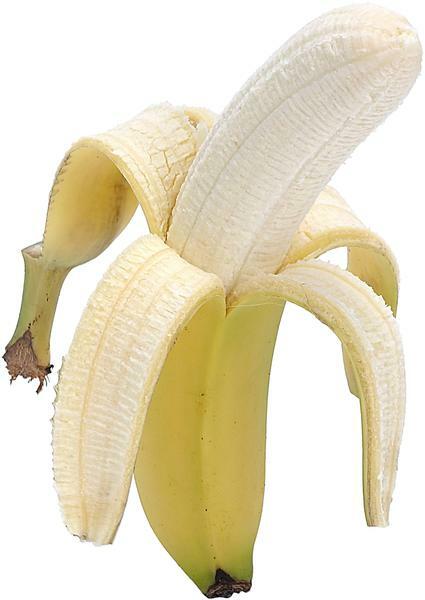 A month has gone by and we are still sticking to our healthier food lifestyle, yay for us right! 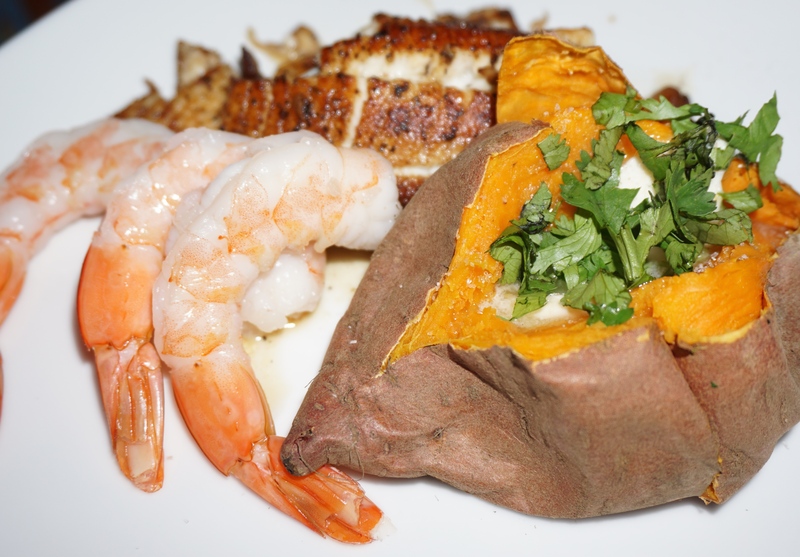 With that said for dinner tonight we had a tilapia filet cooked with lots of herbs, served with a few giant deliciously sweet shrimp and a sweet baked potato. But the star of the night was dessert! Yes dessert, that sweet satisfying treat that makes it all worth while. 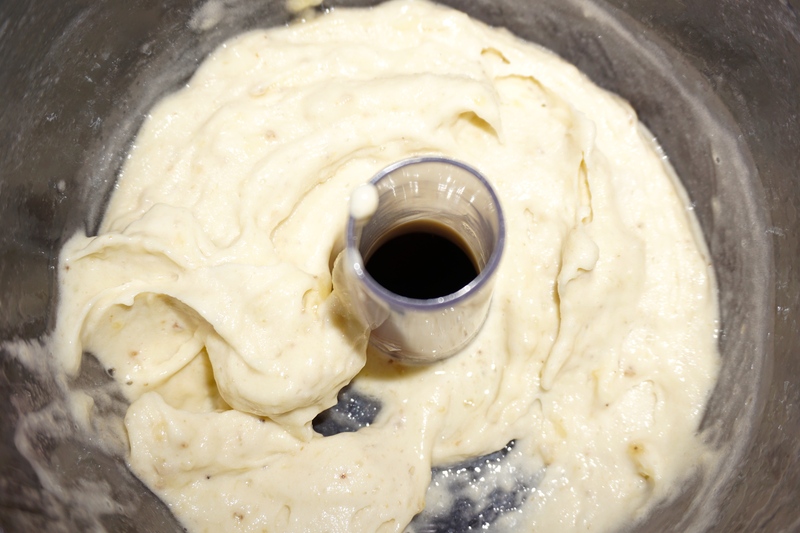 That sweet treat that we crave and shouldn’t have, but guess what? 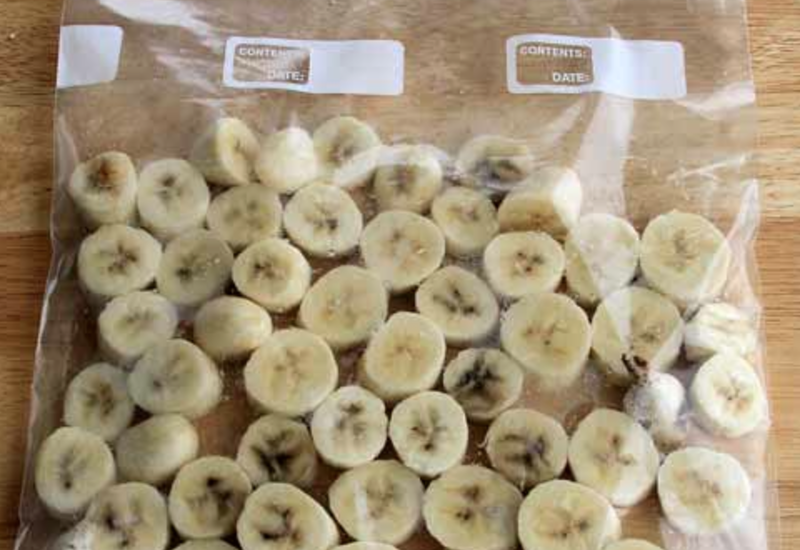 I started by chopping up some bananas this morning, placing them in a handy dandy ziploc bag and into the freezer they went!